Intellectual property refers to the creations of the mind, including artistic works, literary works, inventions, names, images, symbols, and designs used in commerce. In other words, intellect possessed by an organization or an individual is considered intellectual property. Intellectual Property law is a highly complex area of the law. It essentially governs the protection the State and Federal legislatures and courts afford certain ideas, inventions and creations. The most common causes of action that arise in intellectual property cases are copyright infringement, trademark/trade dress infringement, unfair competition and patent infringement. Copyright infringement actions generally concern actions involving the unauthorized reproduction of a protected written composition, which can range from a novel to computer software. A trademark infringement suit generally involves the unauthorized use of another company or individual’s protected trademark, which can concern a slogan, phrase, or an associated symbol. In the case of trade dress infringement, the subject matter of the suit generally involves a protected product or invention of another company or individual. Patent infringement suits concern actions against one that manufactures, sells, or reproduces an invention of another that has patent protection. The firm strongly believes that its success in litigating intellectual property matters is the result of our team approach to litigation. Call Baldwin & Baldwin now for the legal representation you need in your patent or trademark dispute. 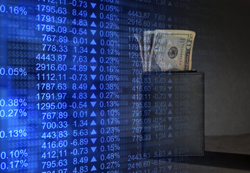 The mutual fund industry began back in the 1920s. Mutual funds were always considered a way for America’s small investors to have a relatively safe way of investing their money. Mutual funds were always sold as a limited risk investment - in other words, safe. But that perception has changed dramatically because many of the leading mutual fund families are under investigation for allegedly participating in schemes which resulted in a dilution of the value of the funds to the detriment of long-term mutual fund shareholders. If you need to contact a lawyer.please contact Baldwin and Baldwin Attorneys at Law. 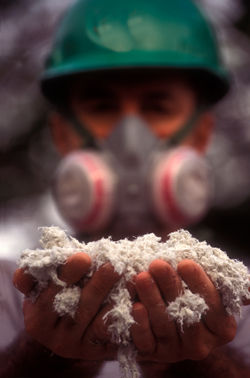 Once asbestos becomes airborne, it can be inhaled. And once inhaled, asbestos can remain in the lungs for a long period of time, producing the risk for severe health problems that do not show up until many years (even decades) later. If you or someone you know has been injured as a result of asbestos exposure, please contact Baldwin & Baldwin for a free consultation about your case. Each year millions of people are victimized by violent, as well as sexual, crime. Many of those crime victims suffer great financial strain as a result of injury-related costs, including surgeries, visits to specialists, medication, various therapies, and hospitalization. As a victim of a serious crime, or serious sexual crime, you may be entitled to monetary compensation for your injuries, pain and suffering, loss of work, medical costs, and other injury-related expenses. If you are a victim of a serious crime, or a serious sexual crime, and would like to recover monetary compensation, you should seek the representation of a crime victim lawyer. This is a very complicated matter that should be handled by attorneys who are knowledgeable in all aspects of crime victim law. If you or someone you know has been a victim of a violent crime or sexual assault, please contact Baldwin & Baldwin for a free consultation about your case. It is the responsibility of manufacturers and property owners to ensure protection and to prevent people from being injured due to chemical exposure. 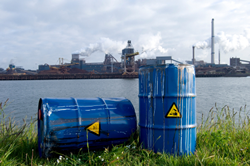 Long term exposure to dangerous chemicals may often result in permanent injuries. Such harmful chemicals may be found in our food, our water, the clothes we wear, or in the air we breathe. Exposure to such chemicals can cause injuries such as birth defects, damage to the nervous system, systemic allergic reactions, brain injuries, or cancer. Children in particular are at great risk because of their sensitivity to such chemicals. Baldwin & Baldwin can help determine if you have a claim. 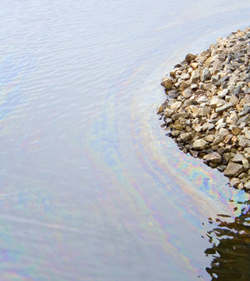 If you feel you or someone you know has been injured due to chemical exposure, contact us now. Maritime and offshore work can be risky business. 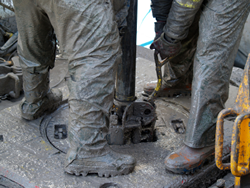 Such workers can be injured or killed while engaged in oil and gas exploration or production and related activities. 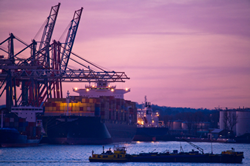 Several laws provide rights and remedies to different types of maritime and offshore workers. It is important to have an attorney familiar with maritime and offshore law explain all of your options. The Jones Act, for example, extends the protections of the Federal Employers’ Liability Act (FELA), to provide similar rights and remedies to seamen. FELA provides certain federal workers specific rights and remedies when injured in connection with their employment. The Jones Act applies only to seamen who are persons with an employment-related connection to a vessel in navigation and who contribute to the vessel’s function or mission. Under the Jones Act, the concept of a vessel is broadly defined, including all navigable structures intended for transportation of water. The Jones Act enables recovery for both economic and non-economic damages resulting from covered injuries. Examples of economic damages are medical bills, lost wages, loss of support, and other identifiable economic injuries. Non-economic injuries include mental anguish, pain and suffering, loss of love and affection and other such damages. The Longshore and Harbor Workers’ Compensation Act (LHWCA) provides worker’s compensation benefits to longshoremen who are injured on the job. These benefits are provided regardless of whether the employer is at fault and include disability payments and rehabilitation services. If you were recently injured while working on or near a vessel or while offshore and would like to communicate with an attorney, please contact us. applicable laws is a precise specialty in this active venue. Tort refers to the body of law that allows a wrongfully injured person to obtain compensation (“damages”) from the person or persons who caused the injury. Toxic torts are those tort cases that involve personal injuries caused by exposure to toxic and other dangerous substances and devices. 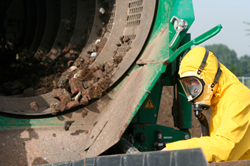 Examples include asbestos, chemicals, hazardous waste, medical products, and devices. If you have been injured by any toxic substance or dangerous device, you may be able to recover monetary damages for medical expenses, lost wages, pain and suffering, and sometimes punitive damages through a toxic tort lawsuit. If large numbers of others have experienced the same toxic tort, your case may become part of a class action lawsuit. Due to the sometimes long latent periods of many diseases associated with toxic substances, class actions are often not brought until many years after the large numbers of people were exposed to the toxins. If you or someone you know has been harmed by a toxic substance, produce or chemical, please contact us and tell us about your case. 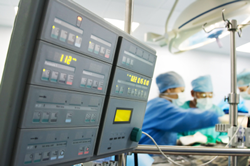 Medical malpractice occurs when a person suffers severe injuries as a result of a professional’s misconduct, failure to use adequate care, or lack of skill. The malpractice general rule is that professionals, including doctors, dentists, medical providers, etc., must act with the level of skill and learning commonly possessed by members of the profession in the same geographic community. A professional will only be liable for malpractice if he acted without the requisite minimum skill and competence, not merely because the operation or procedure was not successful. Claims can result from many acts, but some common malpractices include failure to diagnose an illness, anesthesia errors, failure to prevent infection, leaving a medical device implanted after surgery, surgery without informed consent, certain birth injuries and cerebral palsy, late diagnosis resulting in a diminished chance of survival, and misdiagnosis of a condition. If you or someone you care about has been a victim of medical malpractice, contact our law firm for a confidential evaluation of your case. and use of propane or natural gas. We have handled significant numbers of cases involving explosions related to gas pipelines, industrial plants and refineries, and petrochemical plants. 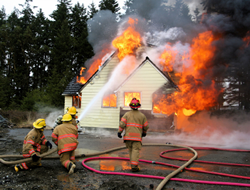 The explosion victims we represent come to us with devastating burn injuries. We know from experience that the monetary, mental, and physical costs of recovering from a burn injury are staggering. A burn injury can require months, sometimes years of hospitalization, doctors visits and physical therapy, and often requires extensive counseling to overcome the mental trauma sustained from suffering a burn injury. 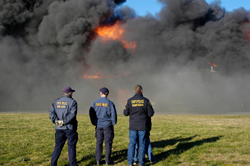 The source and cause of the explosion that caused the burn are crucial determinations that form the basis of a personal injury explosion case. If you feel that you or a loved one has grounds to bring a personal injury claim, please contact us at Baldwin & Baldwin. When a manufacturer sells a product to the public, the manufacturer warrants to the public that the product is safe and that it will perform as expected. When that product injures someone and fails to perform to the expectations of the public, the manufacturer can be held liable for the damages that are caused by this defective product. A product may be defective because it was designed in such a way as to be unreasonably dangerous to the public because it was manufactured incorrectly, or because there were inadequate warnings or instructions on how to operate or use the product. The manufacturer, parts supplier, or even the retailer of a particular product may be held responsible for the injuries that are caused by a defective product that they manufacture, produce, design, or sell. Defective products may cause a variety of physical injuries such as burns, scars, disfigurement, bone fractures, head and brain injuries, and blindness. 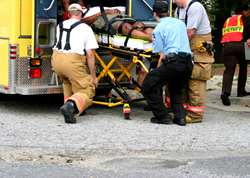 The medical treatments for these injuries may be expensive for the victim. You may be able to recover monetary compensation for your injuries, as well as pain and suffering, loss of wages, and other accident-related expenses. 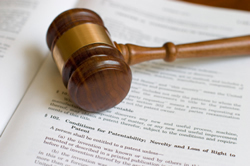 An experienced attorney is essential to a positive outcome in defective products litigation. The attorneys at Baldwin & Baldwin are experienced in products liability and will aggressively fight for your rights. 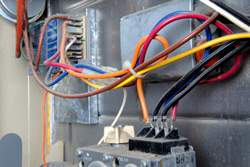 Please contact us if you or someone you know has been seriously injured or killed by defective products. 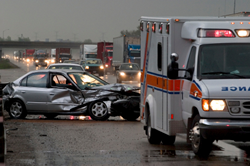 Auto accidents occur all too frequently in today’s fast paced society. While many auto accidents are simple “fender benders,” others result in substantial property damage and serious injury. Many injured victims of auto accidents are overwhelmed by the avalanche of telephone calls, insurance forms, accident reports, medical bills, and general correspondence that is received immediately after an auto accident. Furthermore, those that have been injured in an accident may not be in the proper frame of mind to deal with inquiries from insurance companies, whether written, recorded, or verbal. In many states, auto or truck accident victims who have suffered personal injury may be entitled to recover damages for pain and suffering, emotional distress, disability, permanent disfigurement, dismemberment, wrongful death, loss of opportunity to enjoy life, interference with marital and/or parental relationships, and other types of general damage. Many states also allow for recovery of “special” damages, such as past, present and future medical bills, wage loss, loss of earnings potential, and other out-of-pocket expenses. Auto accident and accident victims in general should appreciate that, while they are still receiving initial medical treatment, the parties at fault have already notified their insurance company of the accident. Every insurance company has a team of adjusters, investigators, and attorneys whose primary responsibility is to limit the liability of the insurance company and minimize the amount of money to be paid to injured parties. A car accident lawyer can help “level the playing field” by providing auto accident victims with information regarding the practical and legal aspects of personal injury law and auto accident claims. For a free review of your auto accident claim, please contact us. According to the Federal Railroad Administration, each year there are approximately 3,000 accidents involving trains. The power of a train colliding with a vehicle often results in catastrophic injury and even death. In fact, 1,000 people die each year in railroad accidents. There are many causes of train related injuries and fatalities: train crashes and derailments; defective equipment; human error; track and signal defects; accidents resulting from individuals walking on or near train tracks or trespassing in train years; injuries to railroad employees in the course of their employment; and vehicle-train accidents at railroad crossings. The injuries that can result from train related accidents are depressingly familiar: brain and spinal cord injuries, sprains, fractures, abrasions, internal and soft tissue injuries, burn injuries, and just about every other injury associated with the operation of other motorized vehicles. Receiving damages in compensation from a railroad company can be very difficult because you must establish that the railroad company was responsible for the accident. 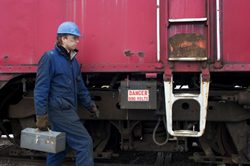 If you have been involved in a railroad accident, it is crucial that you consult with an experienced attorney. If you or a loved one has suffered an injury due to a railroad accident, please let our attorneys at Baldwin & Baldwin know.